Questo appartamento privato offre una vista spettacolare da una grande terrazza con un firepit, grill, tavolo da pranzo all'aperto e una sala d'attesa per godersi l'aria di mare. Ha anche un concetto aperto sala da pranzo / soggiorno con camino elettrico e TV via cavo a schermo piatto, cucina completamente attrezzata con frigorifero di dimensioni standard, due bagni con vasca idromassaggio in uno e doccia nell'altro, e due camere da letto con letti queen size. Esso comprende lenzuola e stoviglie. Situato al terzo piano del capitano AV Nickels Inn, Suite del capitano include anche l'accesso alla grande cupola e camminata della vedova (vedi foto al di fuori del Inn) che vanta una vista spettacolare sulla baia e la zona circostante, così come pull-down nave di -tipo due letti singoli nella cupola. L'appartamento può ospitare da 4 a 6 persone.
. Thank you for taking time to respond and providing feedback of your visit. We wished you had shared your dissatisfaction immediately and we would have attempted to make different accommodations for you. The Captain's Suite is marketed as a flexable suite to meet traveling famlies accomondations at a reasonable price in a beautiful setting. As earlier reviews have shared the suite enjoys splendid comments year in and year out. The 3rd floor addition you mentioned in the widows walk and was specifically designed for children hence the drop down beds. The feedback we receive from children staying is one of a great adventure in an old sea captains home. You are correct in pointing out the breakfast is not included with the suite. The suite is set with a full kitchen inside and grill, firepit and table for four outside on the deck. The breakfast, as announced prior to booking, you're welcome to join us for the three course breakfast at $25.00 per person. All guests staying with us, either in the suites or internal to the Inn, are welcome to enjoy the Captain Nickels main floor by simply walking in the guest entrance (Front Door). We are extremely proud of the history of this famous sea captain and the rich heritage his home, built 1874, brings to this community. 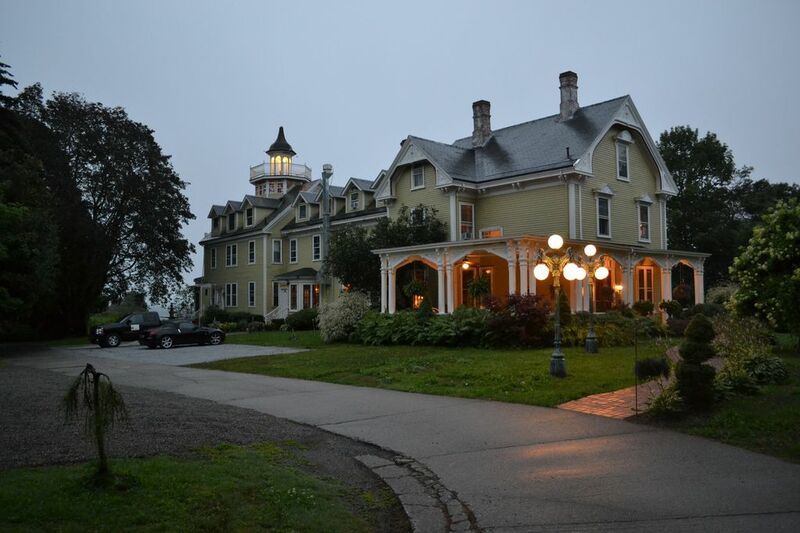 We purchased the Inn seven years ago where it sadly stood for three years in foreclosure. We have lovingly restored this home and are most anxious to share it with others and make their trip to Maine a memorable experience. Once again we sincerely wish you had shared your dissatisfaction early in your visit so we could have sought alternative solution either within the Inn or via one of several associate Inns in the immediate area.